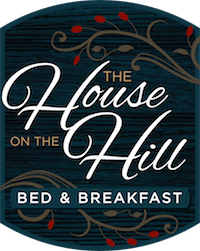 Total relaxation awaits at the House on the Hill. All eight of our rooms are bright, spacious, and beautifully decorated, and each features a private bathroom. Select a king or queen room with a view of either the lake or the lush acreage surrounding our Northern Michigan bed and breakfast. Whether you plan to enjoy our on-site water activities, hiking, or snowshoeing, or you just want to curl up with a good book by the fire, you’ll feel right at home in our peaceful escape. Our all-inclusive bed and breakfast offers free recreation equipment, including kayaks, paddle boards, and more! We also offer complimentary fresh-baked cookies daily (the perfect treat after a day on the water). Enhance your stay even further with our specials. Get cozy on a starry night with s’mores for two. Sleep in and enjoy a private breakfast on the porch or in the sunroom. If you’re celebrating an anniversary or birthday, we’ll have fresh flowers and chocolates waiting in your room. View all of our specials and select your favorite for your next romantic getaway to Northern Michigan. During your stay, you can spend your days on the Chain of Lakes with free usage of our paddle boards, kayaks, canoe, paddle boat. All you need to do is bring your fishing gear! You can also explore the onsite trails. If you are visiting in the winter, be sure to grab a pair of snowshoes before you head out the door! When you are ready to check out the surrounding area, we’re close to wonderful harbor towns for shopping, dining, and entertainment, as well as world-class golf courses and ski slopes. We believe your first meal of the day should be an experience, that’s why we serve an excellent three-course gourmet breakfast each morning. Only the best ingredients are used to create our farm-to-table menu that ranges from piping hot Eggs Benedict to fluffy French Toast with crisp bacon. You can take your breakfast in the dining room with other guests or arrange for a private breakfast in the sunroom or on the porch. During the summer, dine al fresco on our large front porch with a view of St. Clair Lake. If you love watersports, you’ll love visiting the “Chain of Lakes” region of Michigan. While we sit on the Chain of Lakes, we are also close to Lake Michigan and Lake Charlevoix. This means you have plenty of opportunities for summer fun on the water with paddle boarding, kayaking, canoeing, fishing, and more. Need a little quiet time? Head to one of the beautiful beaches with a chair and a towel to soak up some sun! The House on the Hill’s location in Ellsworth makes it easy for you to explore several charming resort towns and harbors of Northwest Michigan. Fuel up with our delicious breakfast and then set out to discover Charlevoix, Petoskey, Boyne City, and Bellaire. These destinations are just minutes away, but your drive will include an array of sights from fragrant lavender fields to boutique and antique stores to gorgeous shorelines dotted with historic lighthouses.